The Rangel Program, formally named the Charles B. Rangel International Affairs Program, will award 20 graduate fellowships valued at more than $90,000 each. The funds provide support for two years of graduate school, a paid internship on Capitol Hill, a paid internship abroad, professional development and entry into the U.S. Foreign Service. Interviews were conducted this month, and final selections will be made later this spring. FIU is one of 16 university partners with the Rangel fellowship program, including Princeton University, Columbia University, Georgetown University and Tufts University. Ernesto Alfonso is currently an intern at a lobbying firm in Washington, D.C.
Alfonso graduated in May 2011 with a major degree in international relations and a minor in economics. He was a member of the Phi Beta Kappa Honors Society and the Golden Key National Honour Society. Alfonso was also awarded the 2012-2013 Ambassadorial Scholarship, sponsored by Rotary International, to study at the University of Cape Town in South Africa. Alfonso is currently serving as a Public Policy Fellow at Cavarocchi-Ruscio-Dennis Associates, LLC, a lobbying firm in Washington, D.C.
Perera also graduated in 2011 with a B.A. in international relations. He has served as Distinguished Intern at the U.S. embassy in Lima, Peru, and a Director General Student Intern at the U.S. embassy in Montevideo, Uruguay. Perera is currently working in Office of Financial Aid at FIU. He intends to enroll in the Master of Arts in Global Governance program in the Fall of 2012. 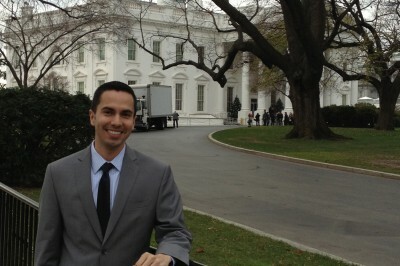 In 2011, Raphael Garcia was the only FIU alumnus to have applied for and won the Rangel fellowship. A 2010 international relations and international business graduate, Garcia served as a Latin America Section Intern with the U.S House Committee on Foreign Affairs and Congresswoman Ileana Ros-Lehtinen. Garcia is currently pursuing a M.A. in international affairs at American University in Washington, D.C. This summer, he will work as an intern with the Fraud Prevention Unit of the U.S. Embassy in Lima, Peru.